I’m a firm believer that cooking is a basic life skill, and as parents it’s part of our responsibility to teach our kids (boys & girls) how to make their way around a kitchen. However, on busy week nights it’s so much easier (and faster) to just do it myself! Over the last few months life has gotten increasingly busy and it feels like our time at the dinner table as a family is getting shorter and shorter. In an effort to make dinner a fun family affair again, I’m trying to get the kids involved in the cooking more often. My kids are 10 and 7 so there are a lot of things they can help with that go beyond just setting the table. The struggle is; finding recipes they can make with limited prep work and that are appropriate for their age/skill level. I figured some of you might be in the same boat, so, over the next few months I’ll be sharing some of the recipes my kids make at home. They vary in skill level and stove time (Zara doesn’t use the stove yet). First up is cucumber raita! 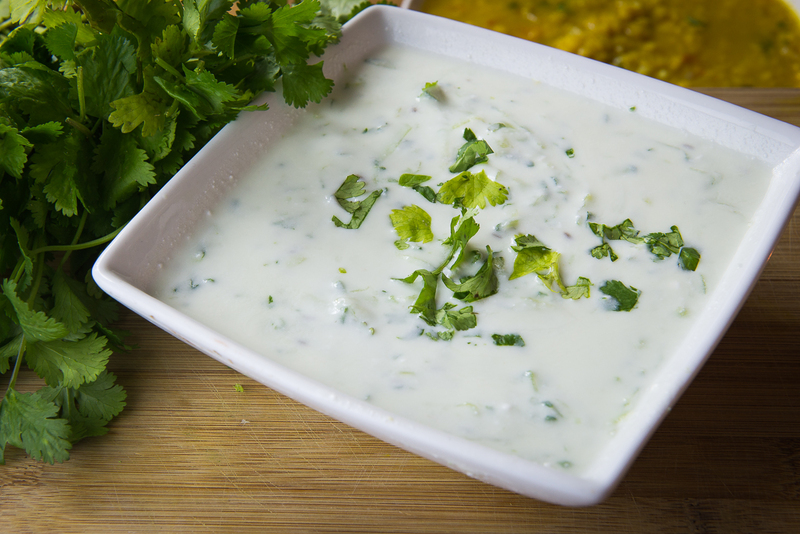 Cucumber raita is is usually a favourite with kids and pairs really well with rice. 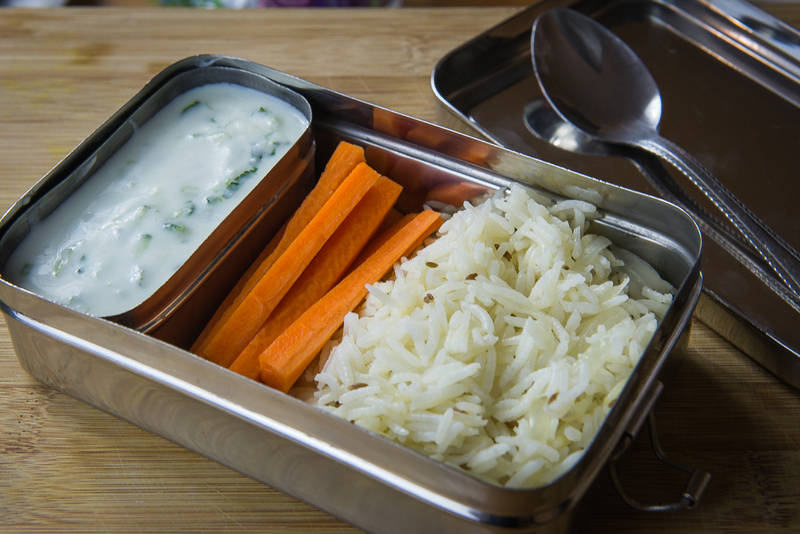 Dahi chawal (raita & rice) is a no fail dinner at our place, and the kids like leftovers for lunch the next day, so I thought it was the perfect meal to teach them. 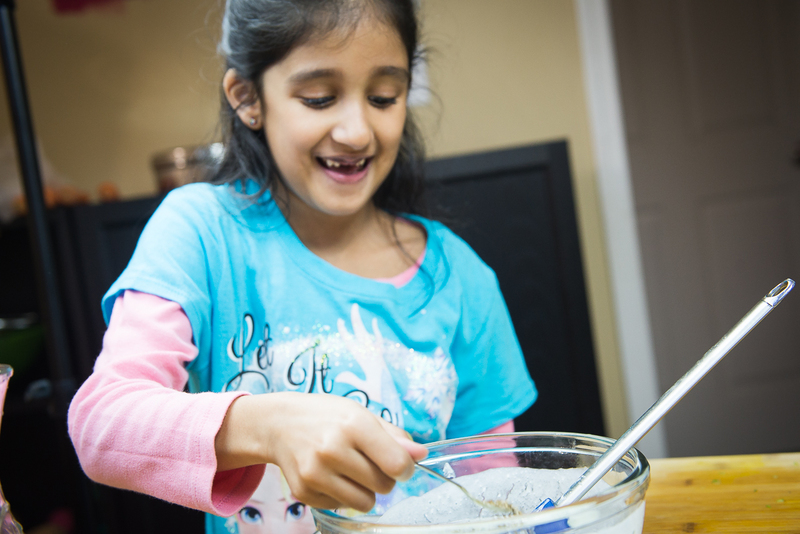 Zara is in charge of assembling the raita, and Armaan makes the rice. (I’ll share that recipe next week). If you are grating the cucumber for your little one, you can probably start this recipe with a 4 year old. 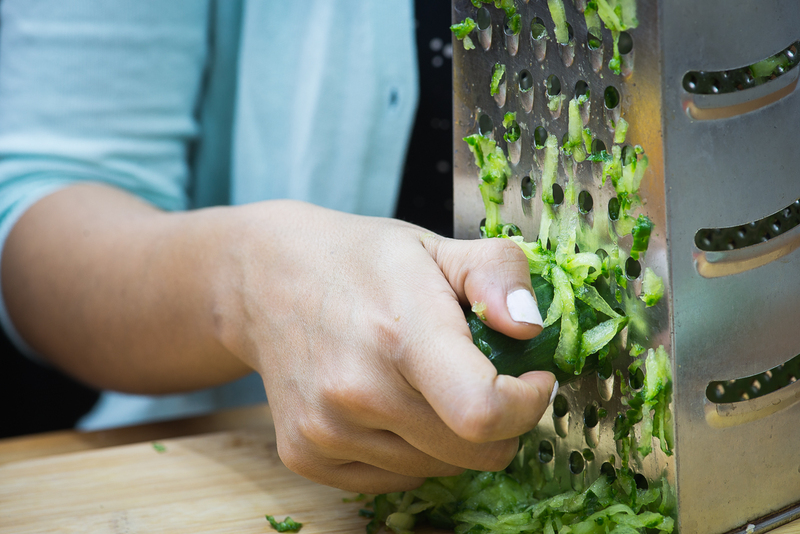 Use your discretion about the grater. Z is a little apprehensive about using it so I usually grate the cucumber for her. If your child is more confident you could let them use the grater as early as 6. Just make sure you stay close by! Start by adding the dahi to a bowl. Slowly add in water and mix with a whisk until it is lump free. Add in the cucumber and jeera and stir. That’s all there is too it! 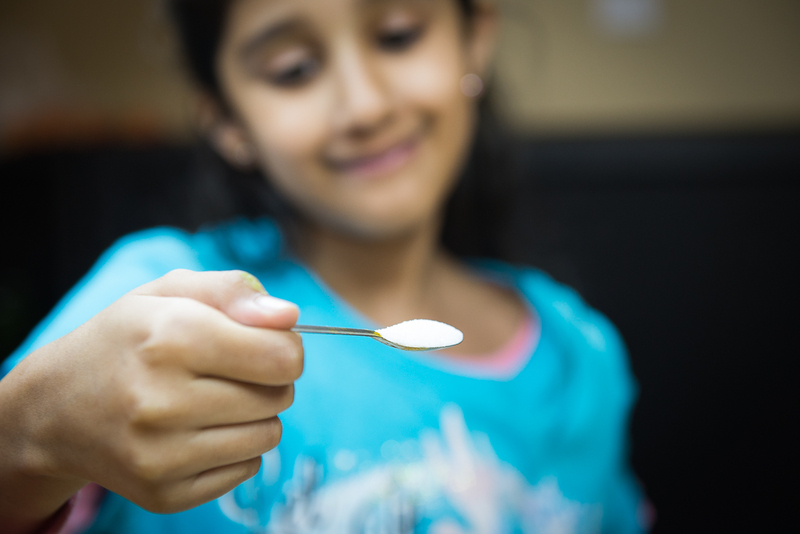 I know this is a super basic dish, and I almost don’t even know if you can call it a recipe, but making something simple builds confidence in the kitchen and helps your child develop a love for cooking. 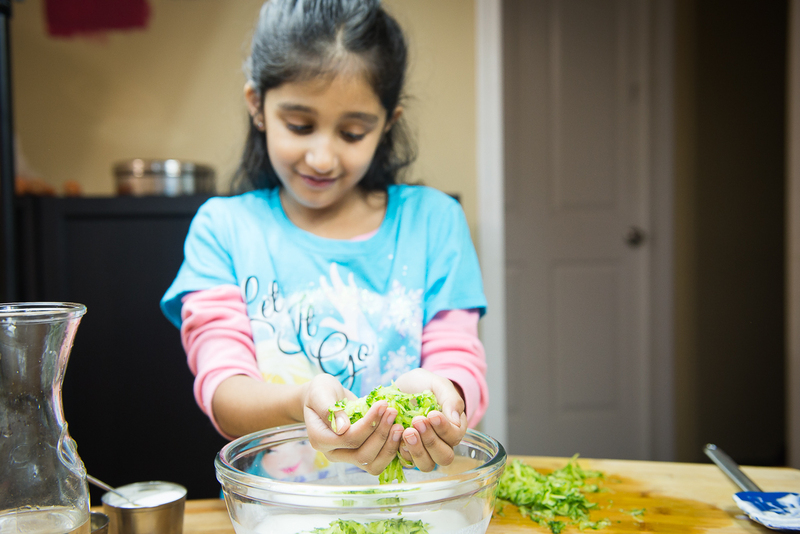 What age did you let your kids start helping in the kitchen? 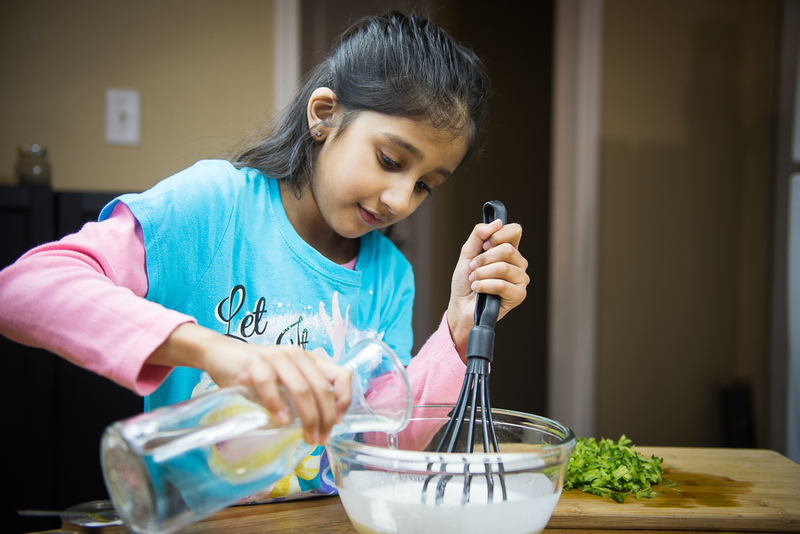 Are there any kid friendly recipes you can recommend – share your tips and links in the comment section below! This side dish is perfect for just about any Indian rice dish, and really easy to make too! Love the grated cucumber in this – most times I just use sliced cucumber in my raita – thanks so much for sharing!